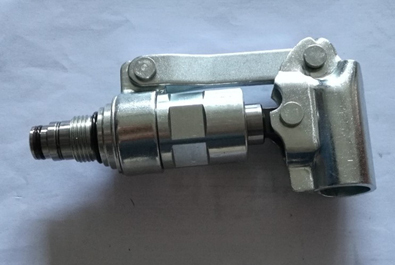 Cartridge Hand Pumps as with any mechanical hydraulic actuator (piston rods, rotating pump shaft, etc.) the shaft will become coated with a minute amount of oil from the internal high pressure system. The rod protruding from the Hydraulic Cartridge Hand Pumps may feel damp with oil after use. This is desirable because the oil coating serves to lubricate the shaft seal, reducing friction and assuring extended seal life. Hydraulic Cartridge Hand Pump provides hydraulic flow is 4.0cc in per stroke at pressure to 207Bar. Operated Cartridge Hand Pump per stroke is 6.0cc.